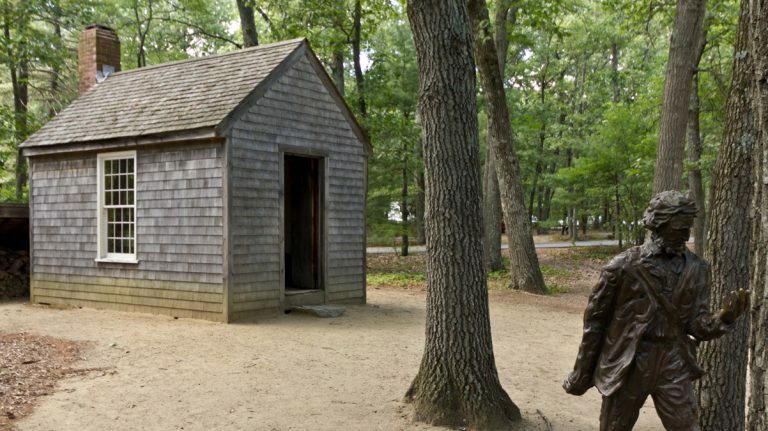 Walden was Henry David Thoreau’s destination for self-discovery. Mine was Center City Philadelphia. After a childhood spent in a boring, homogeneous Philadelphia suburb, the vitality and diversity of the city beckoned me. I moved there in the ’60s after I graduated from college. For the next 25 years it was home. Like Thoureau, I also hoped to learn self- sufficiency. City parks, apartment fire escapes, rivers and city courtyards enlivened and enlightened me. Walking the streets created an intimacy with my new home. The rivers at Penn’s Landing and Boat House Row felt like the arms of a beloved, welcoming me to a peace that only they, in their encompassing yet freeing way could provide. Over the next quarter-century, the streets became my personal scrapbook. Jefferson Hospital, where I was born. The red-brick high rise, which resembled a huge box with cut-out windows, where I had my first apartment. The majestic brownstone on Green Street where I lived with my first husband. The private performing arts school where I taught. The narrow street where I built a hammock from the ailanthus tree in the courtyard of my ground-floor apartment. The neighborhood bookstore where I first found “A Guide to Spiritual Communities,” a book that changed my life. As I walked the streets of Center City, I soon realized that they were also living sociology and history textbooks. There was so much change and so much cultural diversity. I was at the intersection of a city’s history and a its transformation. 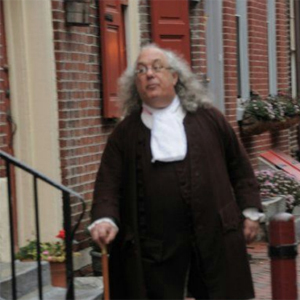 On a street in Old City, the heart of Philadelphia’s historic district, I’d pass the Ben Franklin re-enactor, whom the city had recently hired. He looked just like the portraits of the inventor with his long hair and spectacles. Often I’d stop and listen as “Ben” told a group of tourists about being one of 17 children, who quit school when he was 10 and came to this city seven years later. A few blocks south, I might pass mosaic artist Isaiah Zagar, also sporting long hair. Zagar was an urban pioneer of the South Street Renaissance of the late ’60s, in which a group of artists transformed the rundown corridor into a bohemian hot spot. Essene’s Health Food store, owned by the Waxman brothers, was my favorite. As a new vegetarian, I’d roam the aisles for hours. Once, shortly after I moved to the South Street area, the owners were looking for help. I was between professional jobs, so I applied. “What’s the most creative thing you’ve ever done?” the interviewer askedme. “That’s the best answer I’ve ever gotten,” he said. Rittenhouse Square was my city retreat. Sitting on the grass, I’d enjoy a kaleidoscope of contrasts. Toddlers running on the lawn. Caretakers pushing elders in wheelchairs. Fiddlers playing, with instrument cases open at their feet. Artists painting on easels. Perfectly coiffed women strutting in stilettos as bag ladies shuffled by slowly, bent over with the life possessions they were carrying. The rivers were there for me when I needed to tune out the hustle-bustle. Each one offered its own special comfort as I strolled along its banks. Two statues became my quiet friends. 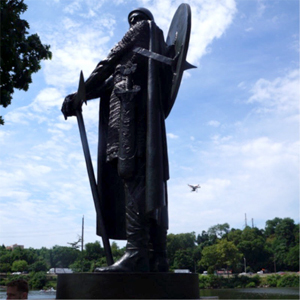 I felt a special kinship with Icelandic explorer Thorfinn Karlsefni, whose statue had stood on the Schuylkill River at the end of Kelly Drive’s Boat House Row since 1920. I dubbed him “Thor” and would sit at his base, gaze at the river, and meditate. 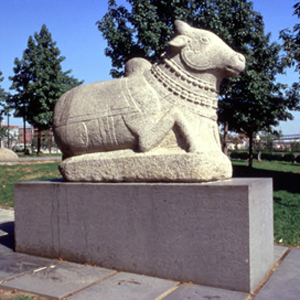 Nandi, the sacred bull from Madras, on the Delaware at Penn’s Landing, was part of the International Sculpture Garden created to celebrate the impact of other cultures on the American experience for the 1976 Bicentennial. Walking the many blocks from my home to Nandi, I’d imagine that I was on a pilgrimage to India. “I went to the woods because I wished to live deliberately, to front only the essential facts of life, and see if I could not learn what it had to teach, and not, when I came to die, discover that I had not lived,” Thoreau said. I, in turn, went to the metropolis to live deliberately. Like Thoureau, I also tasted self-sufficiency. During those years, I sometimes felt as though I were on an Outward Bound program in the middle of the city and had to learn to survive the maze. Find the right job. The right man. The right doctor. The right lawyer. Sometimes all at the same time. It was often daunting, but I knew they were all within reach, even within walking distance, if only I had the right compass. When I eventually left the city to marry a man in another state, although I knew I would miss the city I had come to know and love, I was confident that my sojourn in Center City Philadelphia would serve me well. Indeed, my “Walden” would forever be my template for a life well-lived.